The Petzl Arial 9.5mm climbing rope is a versatile single rope for sport climbing and multi-pitch climbing. The thinness of the rope offers excellent balance between weight and performance, perfectly useable in rock, mixed, snow or ice environments. 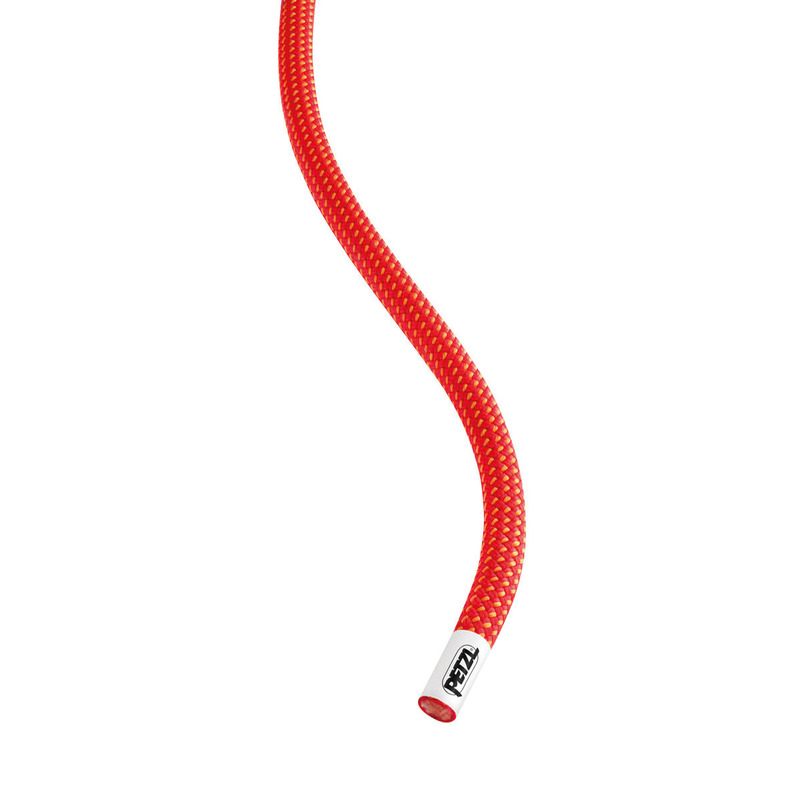 The Petzl Arial 9.5mm rope offers greater longevity and ease of use in comparison to earlier models, thanks to a variety of features unique to the Petzl brand. A sheath treatment that ensures that the rope has a great resistance to water damage, dirt and abrasion. Handling, grip and other features are maintained in cold, wet conditions because the rope absorbs less water. The core and the sheath are bonded together at each end of the rope by a unique heat process called UltraSonic Finish. This provides greater durability, avoids frayed ends and sheath slippage. A specific factory coil that makes the rope ready for use, helps the user avoid initial uncoiling mistakes and increases longevity. This rope has a middle mark, which pinpoints the mid-point of the rope and makes for better belay skills. EverFlex treatment is a special heat treatment, which stabilises the core strands and improves the consistency of the rope, offering excellent grip and consistent handling over a long period of time.